It’s the first of March and that means it is National Crochet Month. To celebrate crochet CGOA is having a Mega Crochet Along with 4 patterns. There will be a new pattern from a different designer every week free to CGOA members. 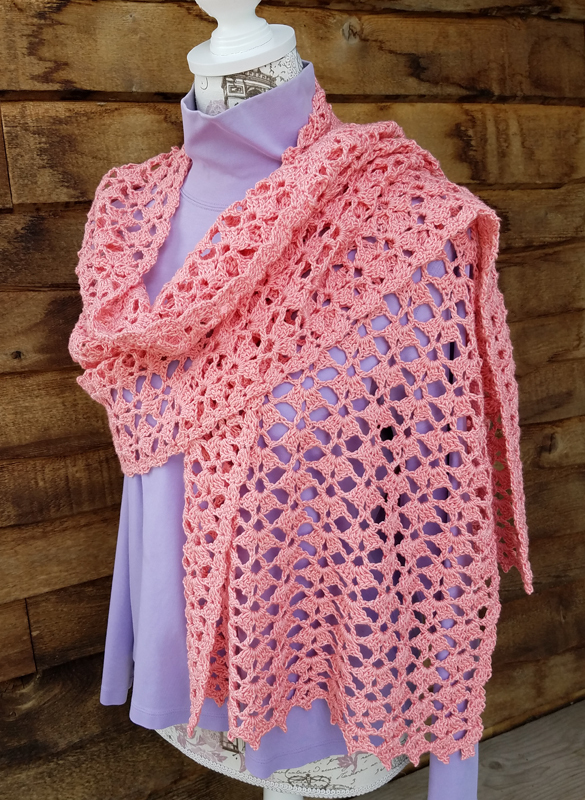 I’m happy to announce that the first pattern for this celebration is my “Shining Day Wrap”. 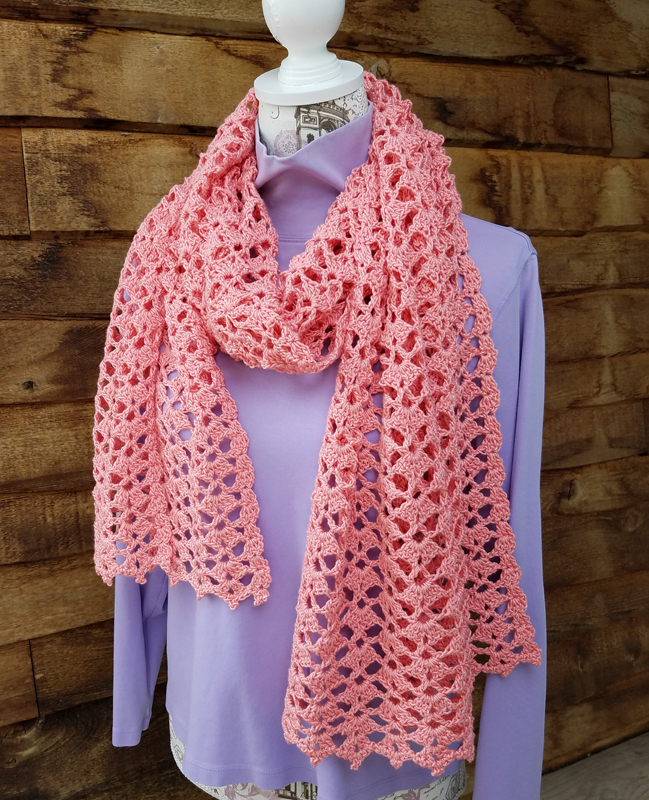 This wrap is worked in 2 pieces off a center foundation to create a wide lacy rectangle that can be worn as a shawl or scarf. It looks very fancy and complicated, but it is actually an easy pattern to learn. This pattern includes stitch charts, text instructions and a photo-tutorial on working picots. There is everything you need to successfully crochet your own wrap, even if you are new to crochet. The pattern will be available for free to both CGOA members and non-members on the CGOA website: crochet.org thru March 7th. You will be able to download the pattern PDF thru the CGOA store. Starting March 8th my pattern will be available for purchase in my Ravelry shop and there will be a new pattern available to CGOA members each of the following 3 weeks.